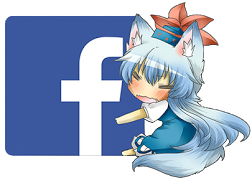 Posted on December 30, 2015 by Lena K.
2015 is slowly coming to an end, which is why we’ll have to stick to our old traditions and hand out my personal Yuri Awards for the year. Enjoy! Posted on April 9, 2015 by Lena K.
Long ago, a far off planet known as Kumaria exploded, turning into a meteor shower that fell upon earth. This lead to the bears becoming violent and attacking the humans, who created the Wall of Severance between them and the bears. Several years later, two bears, Ginko Yurishiro and Lulu Yurigasaki, disguise themselves as humans and enroll in Arashigaoka Academy, where Ginko takes interest in a human girl named Kureha Tsubaki. With a description like this, you already know that this isn’t going to be a show just like any other. In fact, we’ve never seen a yuri anime like this one, and it’s quite hard to put into words what we experienced through the whole thing. But let’s start from the beginning. 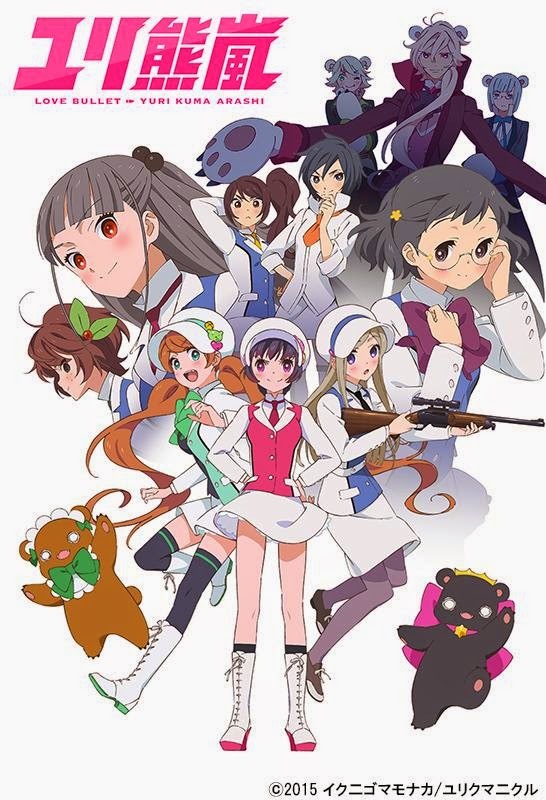 Yuri Kuma Arashi is directed by Kunihiko Ikuhara, a name many of you are probably familiar with. If you don’t already know him, let’s just say that he’s famous for his very distinctive style of getting a story across to the viewers. Just like in some of his previous works, like Revolutionary Girl Utena or Mawaru Penguindrum, he uses symbolism a lot. And when I say a lot, I mean that his stories sometimes come off as riddles that you need to invest a lot of time into in order to understand what it is all about. 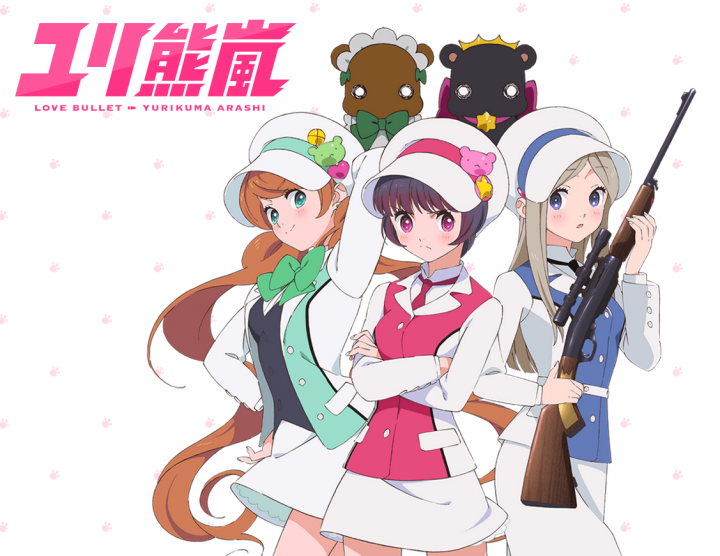 Yuri Kuma Arashi is no exception. Posted on January 24, 2015 by Lena K.
It seems as if I don’t have as much time as used to have. So right now, I was only able to start watching 5 shows. Let’s start with Yuri Kuma Arashi. As said in my First Impression post about this anime, I was totally overwhelmed by what was happening during the first episode. I didn’t get much, if anything at all, but I slowly managed to get a good understanding of the whole thing, or that’s what I think. While I thought it wasn’t making any sense at first, I now believe that this is one of the greatest and most interesting shows of the past year. Despite how some people just don’t want to understand and even think about the story for a little longer than just a few seconds, I find great joy in reading up on all the theories people come up with. 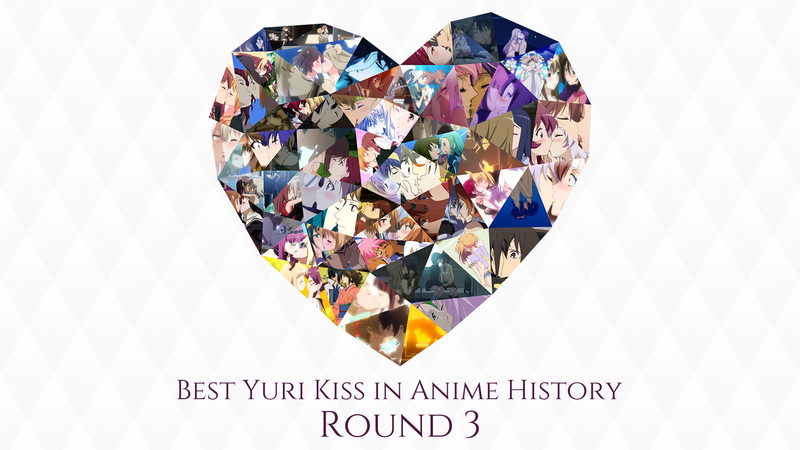 It is seriously a great experience and think that this sole anime might really change the genre. I know I’m using some big words here and it’s only been 3 episodes, but I really hope that this show will walk further into the right direction and delivers something incredible in the end.